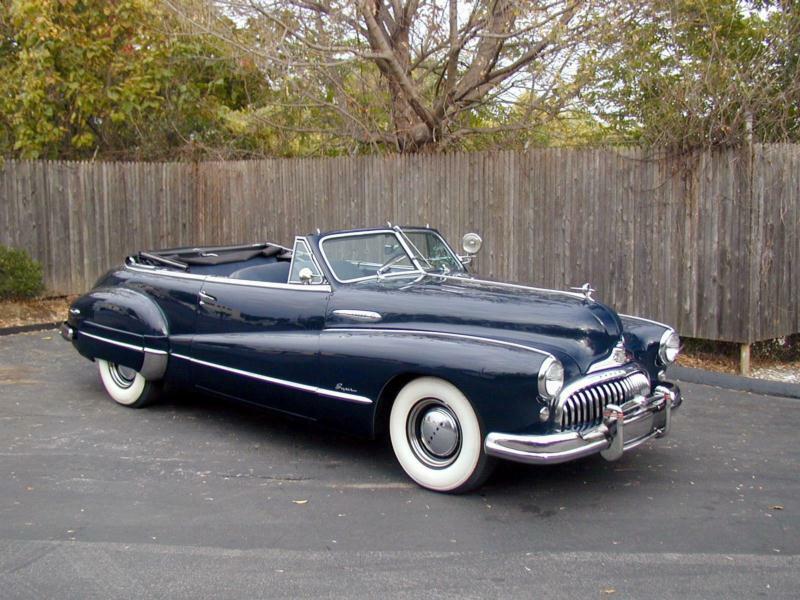 The Buick Super obtained a new body for 1950, placed on a new 121.5-inch wheelbase (125.5 inches for series 52 four door sedans). The “Woody” station wagons still not only had real wood, but it was actually an integral part of the structure. 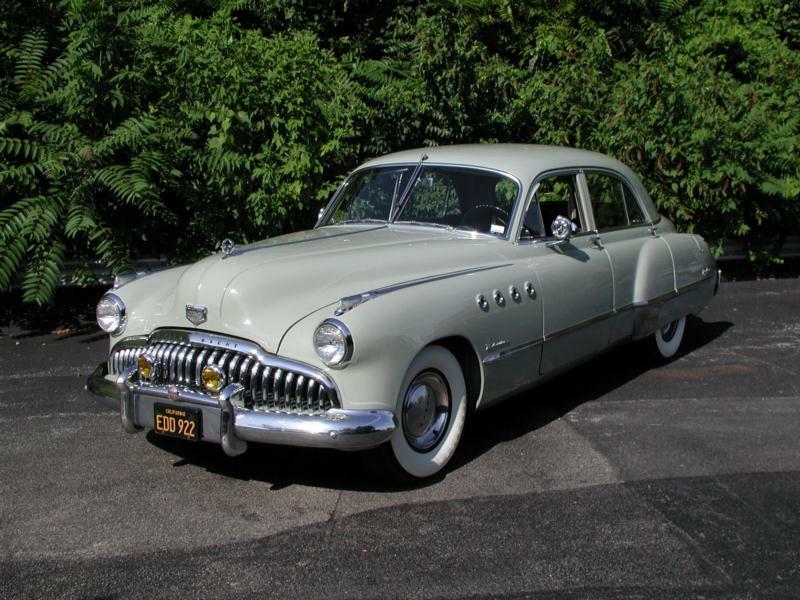 Engines were bored out to 263.3 cubic inches for 1950 Buick Supers, resulting in 124 to 128 hp. The more powerful engines employed a higher compression ratio and were for exclusive use on Dynaflow automatic cars. For 1950, the front end also was new with split bumpers and with the grille “teeth” extending from hood down between the bumpers. The cars’ foundation was a massive X-braced frame of girder steel. 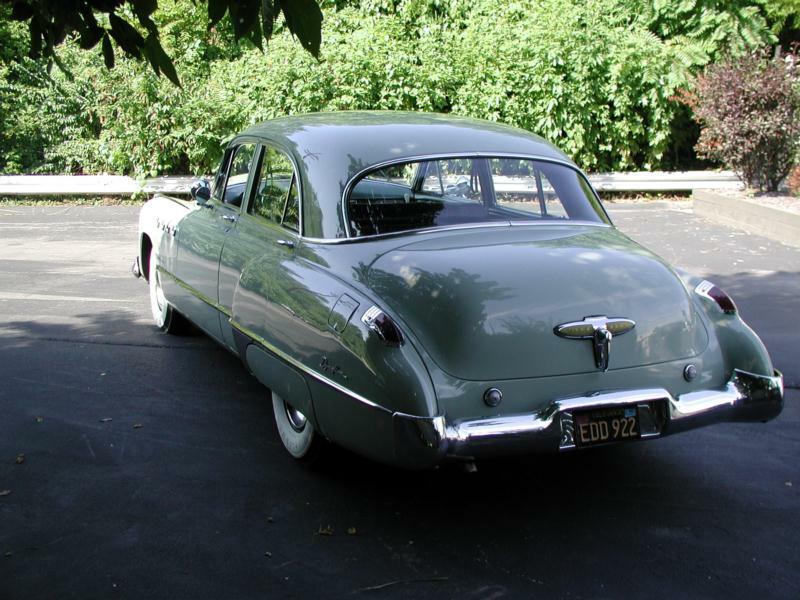 Body styles for 1950 included two lengths of four-door sedan, convertible coupe, Riviera hardtop coupe, two-door Jetback Sedanette, and Estate Wagon. 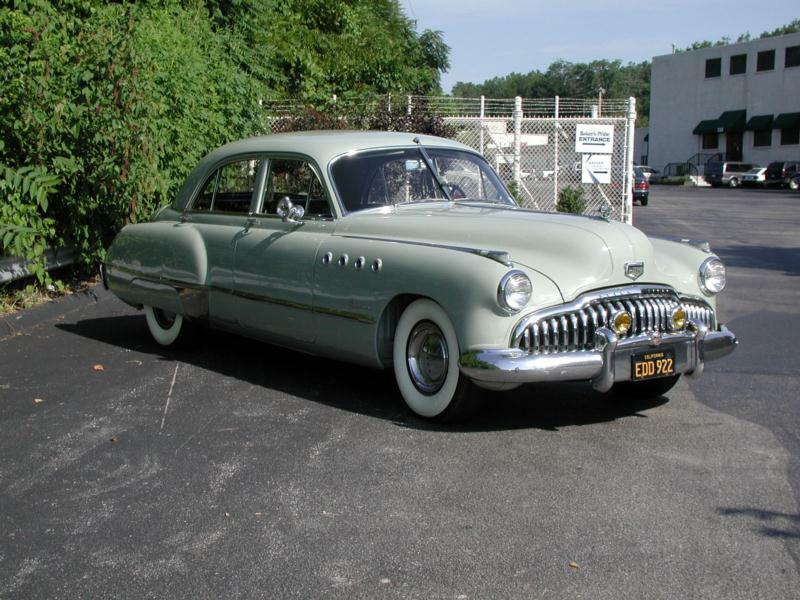 The 1951 and 1952 Buick Supers were broadly similar to each other in styling. 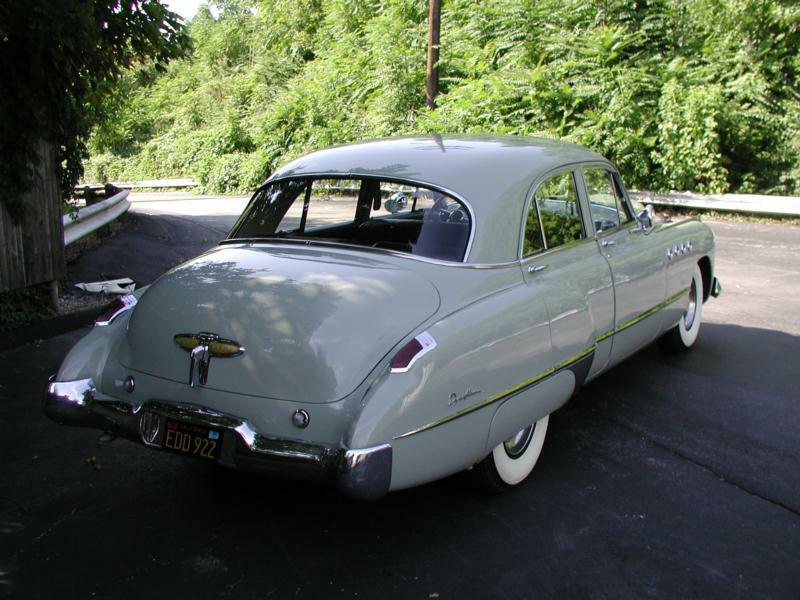 1951 body styles again included two lengths of four-door sedan, convertible coupe, Riviera two-door sedan, DeLuxe two-door sedan and station wagon. 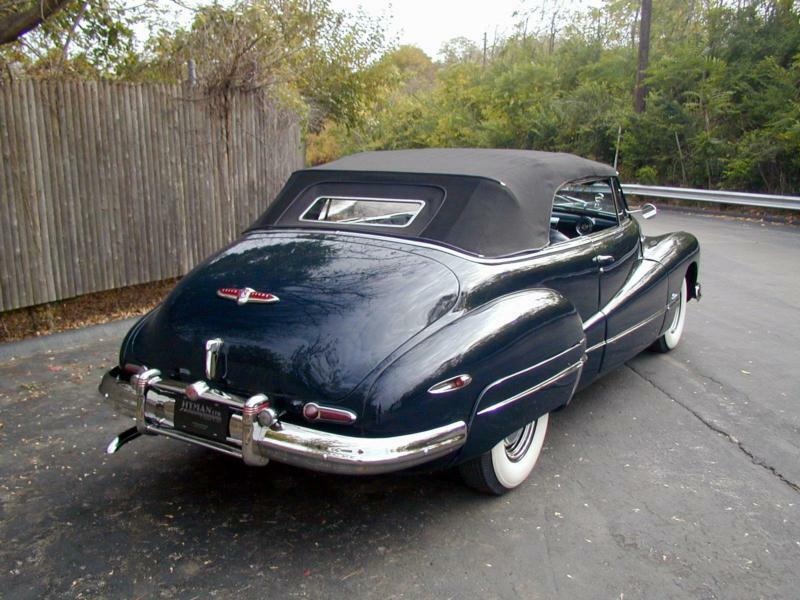 Oddly enough, the very popular hardtop two-door body style was exclusively sold as the larger Roadmaster Series only. 1952 body styles included only the long wheelbase four-door sedan, convertible coupe, Riviera hardtop coupe (returning to the fold) and station wagon. 1953 cars retained the two wheelbases, with the longer exclusively for the four-door sedan, and the short retained for the convertible coupe, Riviera hardtop coupe and station wagon. The cars were broadly redesigned in the front end and tail with different trim. 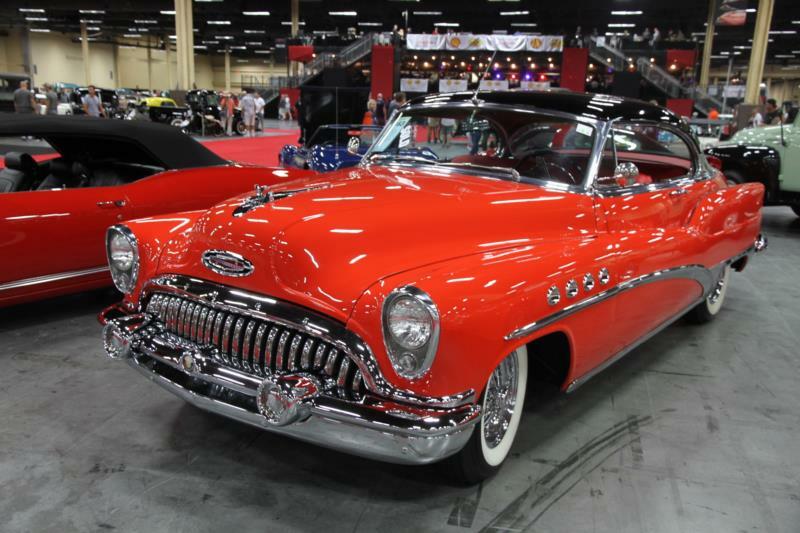 The biggest news for the 1953 Buick Super was under the hood with an all-new and entirely modern 322 cid valve-in-head V-8 engine entirely developed and engineered by Buick Division. The new V-8 produced up to 170 hp for Dynaflow-equipped Supers, and 164 for standard shift Supers. 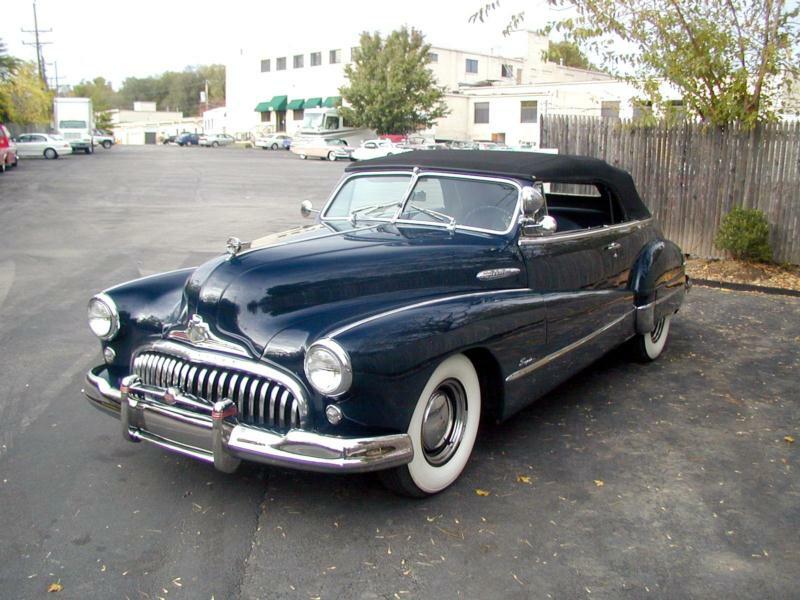 By this time, however, the majority of new Buicks utilized the Buick Dynaflow automatic drive. Power steering became a new extra cost option on the 1953 Super, having first been introduced on the 1952 Roadmaster as an option. The popularity of the Super with the new V-8 engine proved spectacular, with sales increases of over 40 percent seen year-on-year. 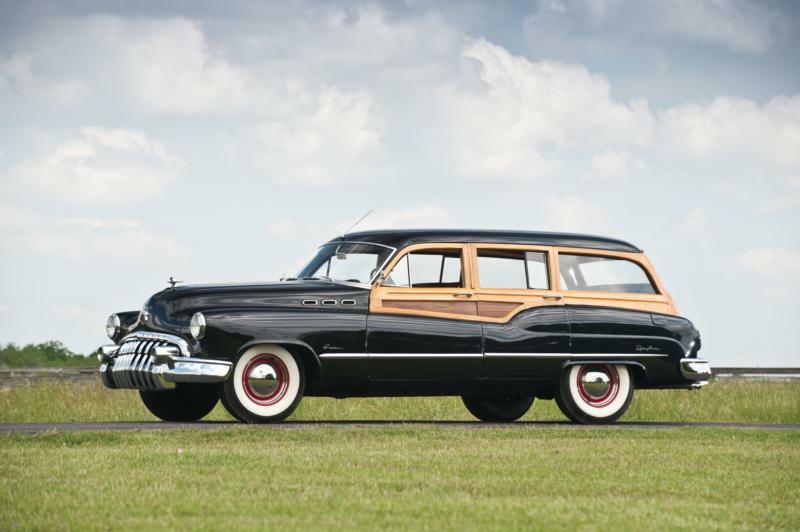 1953 proved to be the last year of wood structured station wagons, with Buick having the honors of being last to change to steel wagon bodies in 1954.